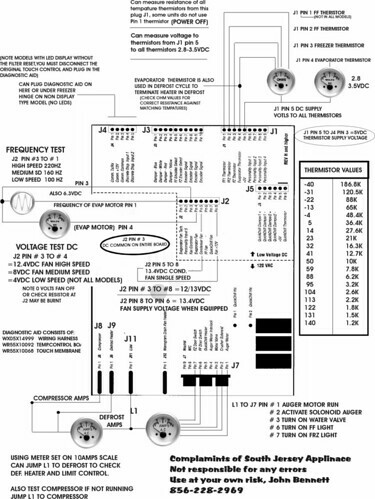 If you have one of those infernal GE refrigerators with the muthahboard in the back and you know how to use a multimeter to make simple electrical measurements, this tech sheet is a powerful weapon to have in your troubleshooting arsenal. I have a GE model GSH25JSRFSS Refrigerator (Side by Side). I had the same clicking symtoms as were discribed in previous postings. (condenser gets cold but cooling fan not working and light blinking in conjunction with clicking sound coming from mother board) I replaced existing mother board PS2364946 with WR55X10942 and compressor didn’t come on(I think everything else did) GE rep. said WR55X10473 was correct number. I read WR55X10942 can replace WR55X10473. was that incorrect?